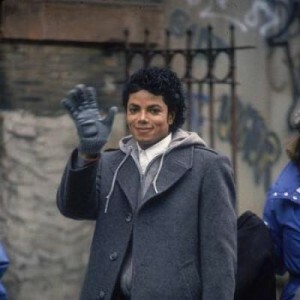 Michael Jackson’s short film for “Smooth Criminal” was the sixth of nine short films produced for recordings from Bad, one of the best selling albums of all time. 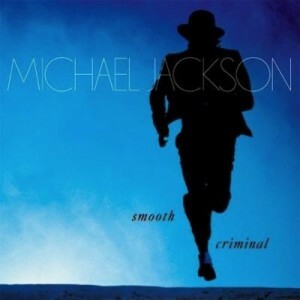 The “Smooth Criminal” single hit No. 1 in Spain and The Netherlands and reached the Top 10 in the United States, the United Kingdom, France, Germany, Ireland and Switzerland. 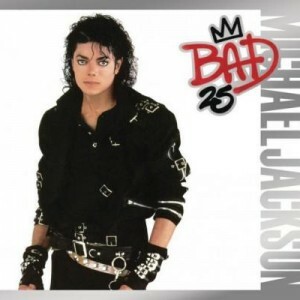 In the United States, “Smooth Criminal” reached the Top 10 of the Billboard Hot 100—the sixth single from Bad to do so—as well as Billboard’s Hot Dance Club Play and Hot R&B/Hip-Hop Singles charts. 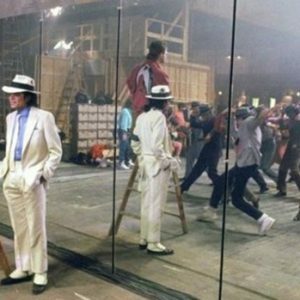 In addition to being a standalone short film, “Smooth Criminal” became the centerpiece of Michael’s most ambitious film project at the time, Moonwalker, a feature-length film that was released theatrically in various countries outside of the United States. 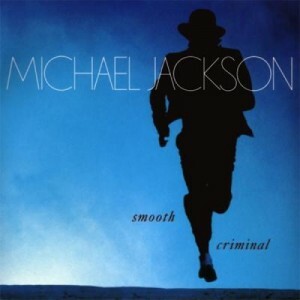 In the “Smooth Criminal” portion of the film, Michael and his friends face off against the notorious drug lord Mr. Big (Joe Pesci) and attempt to foil his plot to get the children of the world hooked on drugs—but of course, in the end, Michael defeats the villain. 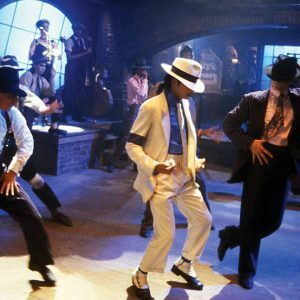 The musical portion of “Smooth Criminal” takes place in the magical “Club ‘30s,” where Michael instructed his friends to meet him. While Katie (Kellie Parker), Zeke (Brandon Adams) and Sean (Sean Lennon) find the club to be long abandoned, Club ‘30s springs to life when Michael shows up, wearing a blue and white pinstripe suit and fedora. 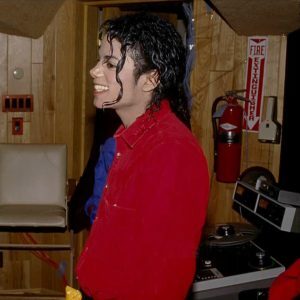 As the kids watch through the window, Michael flips a coin into the jukebox and leads the club patrons through a dazzling performance to “Smooth Criminal.” Here, Michael shows off updated versions of his signature dance moves. 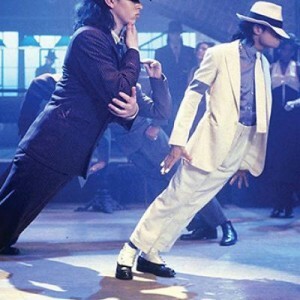 He also debuts one of his most iconic dance moves: the “anti-gravity lean,” a seemingly impossible move. 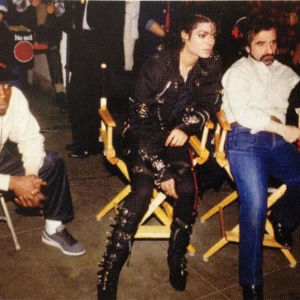 The “Smooth Criminal” short film became one of Michael’s most celebrated visual works. 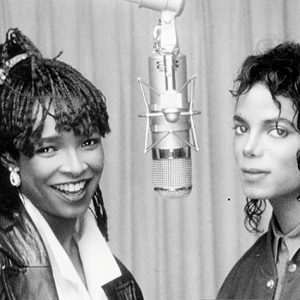 In 1989, it received Best Video accolades at the BRIT Awards, the British Phonographic Industry, the Broadcast Film Critics Association, the People’s Choice Awards and the World Music Awards. 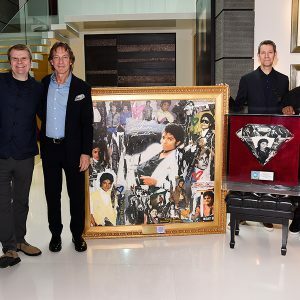 The short film also received three MTV Video Music Award nominations, winning for Best Cinematography in a Video. 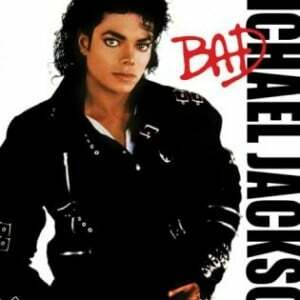 In 2014, Rolling Stone ranked “Smooth Criminal” No. 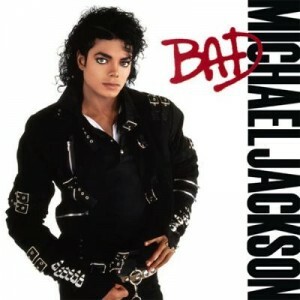 5 on a list of Michael Jackson’s 20 Greatest Videos.